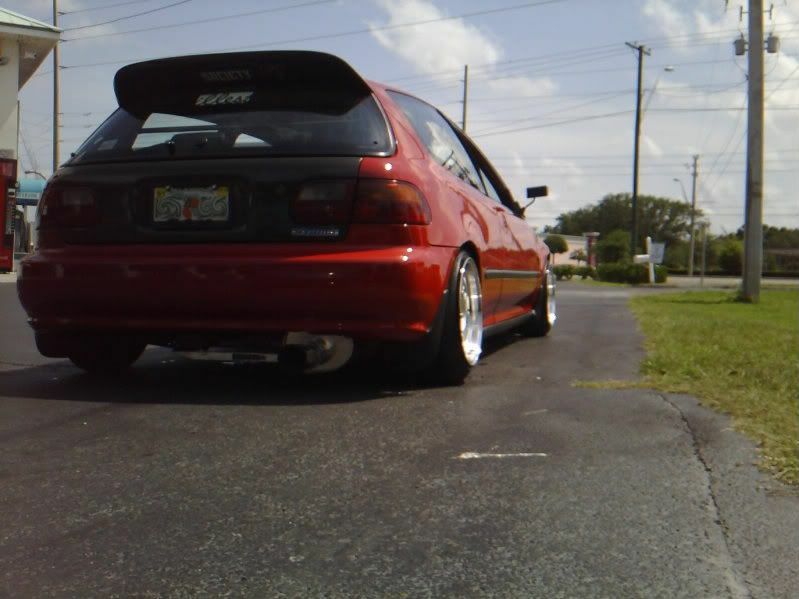 I just recently bought a 96 civic coupe and all my friends slammed their civic and I wanna do something different. I still wanna lower it a litle but I want wheel spacers to give it a different stance.... kinda a meaner look. Think 1/2" or 1" would work and can anyone find pics so I can see difference. Tried but couldnt find any decent pictures. What wheels do you have, what width are they, and what offset are they. Figure that out then all you have to do is subtract ~25mm from your offset and search the same width and the new offset size and you'll be able to find examples pretty easily. Or you could try searching your car/wheel combo and type "with 25mm spacer" and see if you get lucky in the images. If you knew enough about figuring up wheel width/offset measurements you could even search different widths as well as offsets to get an idea of how they would sit with different size spacers but that would require doing some math and knowing what you're doing. Here's a quick example of a search I did. 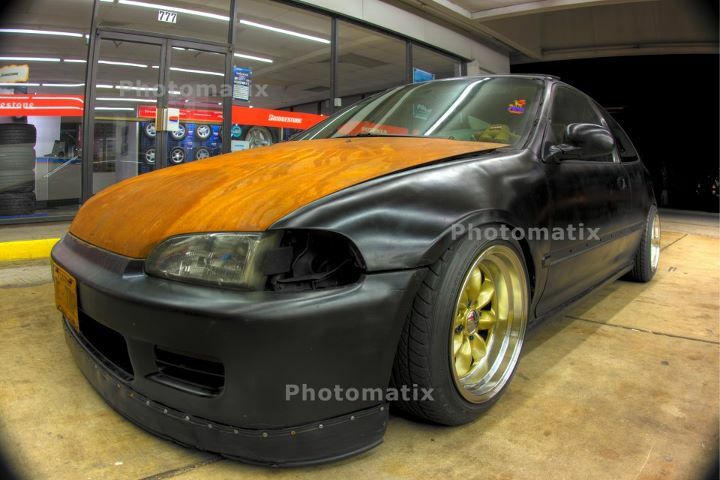 Next I searched "EG 15x8 +0"
I couldn't find the best of photos but I was at least able to find some examples to give you a good idea of what that fitment change would look like.